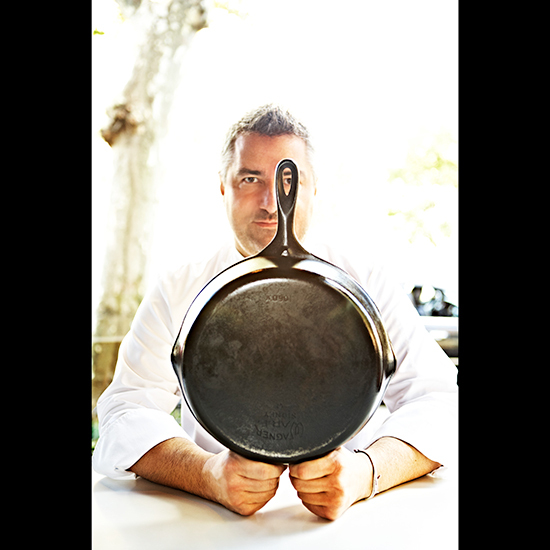 Chef Rob Newton of Brooklyn's Seersucker and Nightingale 9: "It's impossible for me to cook something in this pan and not think about my family. It's an heirloom. It's something that will be with me forever because now that it is almost a hundred years old, I'd be a jerk to let it out of my sight." 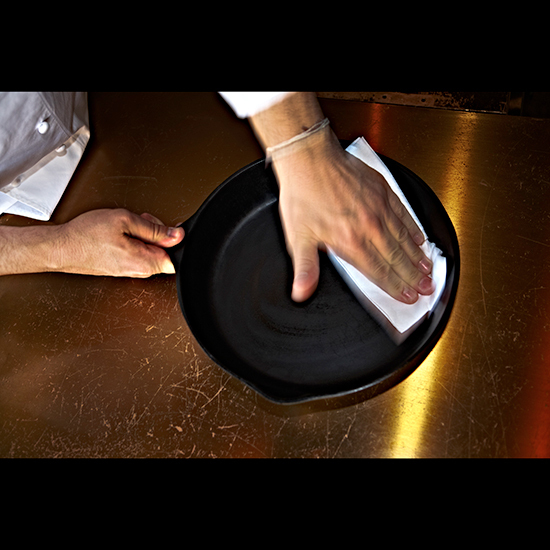 "A cast-iron pan like this needs moisture. It needs a massage. A hot bacon massage." 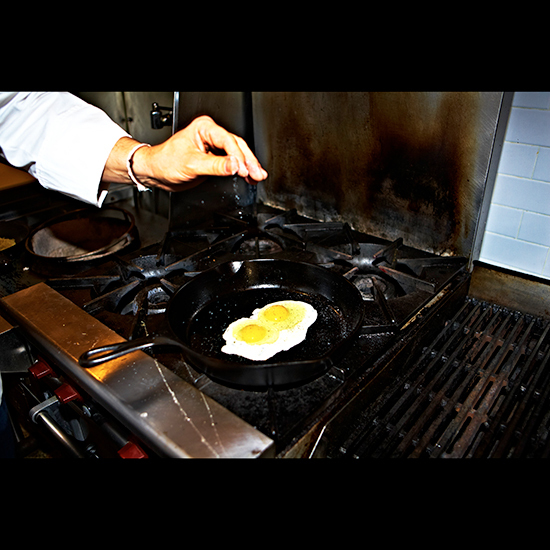 "At the end of every Southern breakfast, all of the leftovers usually go into the cast-iron pan and stay on top of the stove all day, just hanging out. Throughout the day, we used to go and grab a leftover sausage or biscuit and make a biscuit snack." 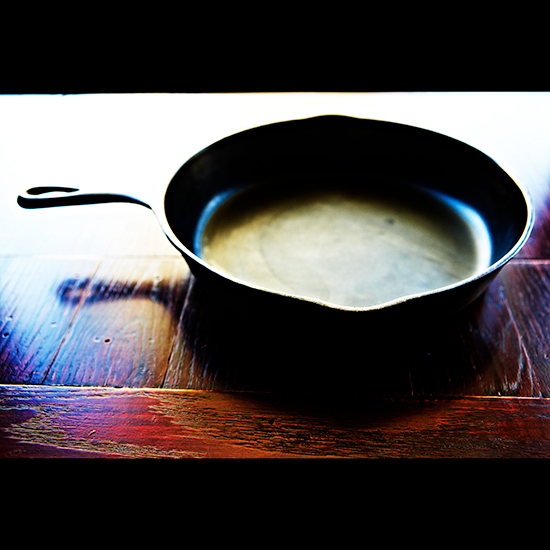 "It's my grandma's cast-iron pan; this pan was in her family forever. She made countless biscuits and corn bread in it. She was born in 1918 in Oklahoma. I have a lot of Native American in my family so I suspect that's how they wound up there because nobody would move to Oklahoma on their own will in 1920." 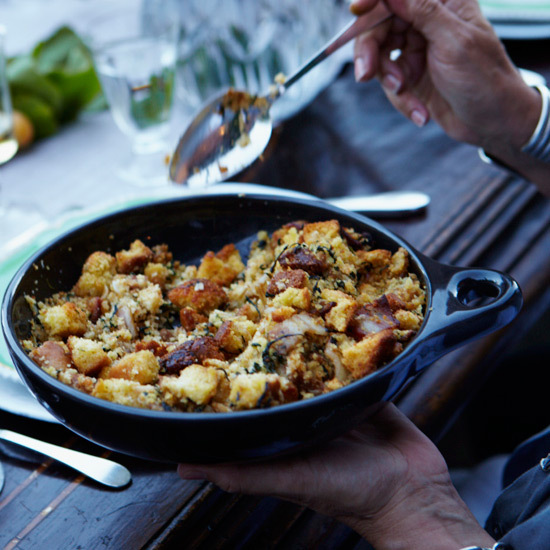 This fantastic Thanksgiving stuffing combines smoky bacon and hearty kale.